What is a leader and is a leader the same as a manager? This is a question that has puzzled many and the answer usually is a manager manages and a leader leads. Clear as mud! Business dictionary defines a leader as "A person or thing that holds a dominant or superior position within its field, and is able to exercise a high degree of control or influence over others". Is that the sort of leader I'd want to be known as? No! And yet, this is a good definition. In an interview with CIPD People Management (July 2017) Ram Charan says that HR's role is to encourage new leaders. But how do you spot them? Well, apparently there are what he calls "signifiers". 2. They are compelled to continually look for new ideas that will make a significant difference. Do you have people in your organisation that fit these signifiers? So what, I can hear you say. What's the big deal about leaders? Ram Charan says that "leaders make up 2% of an organisation, but have 98% of the impact." Woah! Well that certainly breaks the 80:20 rule! So how important is it for your organisation to have the right leader(s)? Very; right! Organisations that get it right, find that they are more successful. They put these people in the right jobs and keep progressing their career. In a highly competitive world the one significant difference organisations can make is with their people. With the way their employees work for them and their brand. So my question to you is do you have managers where you should have leaders and leaders where you should have managers? Have employees been promoted because they were good at their job? Are they equipped to be managers? If not there are many good training providers who can supply first line manager skills training courses. They can definitely learn to be a manager. But, are these people in a role where they need to lead? Can they learn to be a leader? I'm not so sure that sending employees on a training course called "leadership skills" is the way to develop leaders. So how do we develop leaders? Believe me, this blog did not start out to be "salesy" and now it might sound a bit like that so apologies in advance. The way to develop leaders is through coaching. No, it's not a sales pitch. It's the truth. And I know that because I've seen it happen, helped it happen and it is the most rewarding thing ever! You see, with coaching, the coachee does the work and the coach facilitates. The coachee puts the work in during the time between sessions. And this is where the difference is between a one (or even two) day training course and a programme of coaching. Time and time again I hear Directors/Business Owners complain "why is he/she still doing that, we sent him/her on a course". It's seems as soon as they are out of the training course and the door is closed "what happened in the training room stays in the training room". Not so with coaching. The coachee has to be accountable to the coach - there's no hiding, even though coaching is also highly confidential and ethical. If you want to have a successful business develop your leaders. By the way leader does not mean one person, I did say leaders. If you have departments/sub sections then who is your leader for each of these areas? As the business grows (which it will if you have the right leaders in place) these department leaders grow with the business. How do I know? Because I've been there and done it! So, to round off (I could go on and on!) establish who your leaders might be, develop them to be confident, assertive and dynamic employees and then watch your business flourish. 3. Keeping employees on because they feel bad about terminating their employment, even though they are not performing to the required standard and the owner/director is doing the job they employed them to do. 5. Not knowing their brand and not being able to describe their values, mission and vision. If you like what you've read and want to know more please contact me. I'd love to help you and your team. Word of caution though... I'm a busy person so serious enquiries only, thank you. I was reminded today, by my cat, about breaking point. Sometimes in work we have a breaking point that causes us to behave in a certain way that is not always the best version of our self. Our breaking point or Achilles heel (a weakness or vulnerable point) may not be know to ourselves and so we get into a circle that we can't get out of where breaking point is reached, unwanted behaviour takes place and repeat. Sometimes others recognise our breaking point and use this to manipulate a situation for themselves. This can manifest itself in the form of bullying or abuse. As mental health awareness week draws to a close, looking after your mental hygiene has never been more important. Do you know what your breaking point is? See if you can spot mine below! In today's chapter of guard cat, guard cat thinks there are monsters in the house that he needs to chase - mainly they are in the bedroom where mummy is sleeping. But no matter he will protect her by galloping around the bedroom and planting his claws nosily into the furniture. These monsters can not hide from guard cat. The monsters are also behind the curtains so he gallops up and down the window sill, poking his head out from behind the curtains to check that mummy is still alive and that a loose monster has not killed the person who will no doubt get up in two minutes to feed him. The monsters move to the hall so guard cat leaps from the window sill and gallops up and down the corridor making small but perceptible miaow noises. Crash! The monsters are in the en- suite bathroom and guard cat is in hot pursuit. The door of the en-suite is thrown open, and bangs on the bin behind the door. "Take that" thinks guard cat to the monsters - that gave you a fright eh? Mummy is still in bed. And Lady Cat is looking on in amazement that guard cat has not yet caught the monsters and saved the planet. The monsters move to mummy's shoes. "I'll get you" says guard cat as he hugs the shoe tight, wrapping his paws around it and scratching them hard. "Take that"! The monsters seem to have disappeared. Guard cat swirls 'round Mummy's legs as she gets his breakfast ready. Good job thinks guard cat. I saved her from the monsters. Do you feel you could concentrate on your work, if only others were not galloping all around you, causing drama, and stealing your peace of mind? Do you reach your breaking point when you feel personally attacked? I.e. when someone scratches your metaphorical shoes. Do you avoid certain situations at work, lack confidence or hate doing certain tasks? Would you like help finding your Achilles heel? Would you like to live a more fulfilled and positive work life? If so then contact me and together we can work out a plan of action to give you the confidence to always be the best version of you. I was very fortunate to win a ticket to the above event through CIPD mid Scotland branch - thank you very much indeed for this. In my role as Operations Director at Glendoick Garden Centre I wear many hats and HR is part of my function. We don't have a HR department - all the managers are involved in HR as part of their roles too. Had I not won a ticket, then I almost certainly would not have attended so I am very grateful for the opportunity this gave me to learn, network and basically indulge in a whole day of HR! The tile of the event was "Working well in Scotland: Enabling business success". Wellbeing in business is extremely topical at the moment, and quite rightly so. Peter Cheese gave the opening keynote speech and told us that Scotland's productivity is 20% lower than many other countries despite an often longer working week. He said organisations need to become less driven by rules and instead become led by principles, evidence based and outcomes driven. For those that are book lovers or want to know more he recommended the book "Thinking Fast & Slow" by Daniel Kaheman. Sir Cary Cooper spoke to us about enhancing mental capacity. He said that presenteeism, turning up and not adding value, was now a bigger issue than absence for organisations. He also said that line managers were key to the development of the business and this is another hot topic that I absolutely agree with - develop your line managers to develop your business. His book recommendation was Joseph Heller's "Catch 22" and "Something Happened". The first breakout session I attended was about enhancing leadership, culture and values to succeed in uncertain times. Paula Dunne from Santander spoke about how they had looked at things from the inside out and established 9 behaviours that they wanted to be part of their culture. These nine behaviours were integrated as part of their performance review, making up 50% of the mark given. Employees were encouraged to identify two or three of these behaviours to concentrate and work on at any one time. The second speaker from this session was Chris Taylor from Subsea7. His industry has undergone huge boom and bust extremes over the years and retaining talent is an on-going issue. He gave us an example of how quality can be improved - an ipad was installed in a kitchen so the chefs could see who they were cooking for and this resulted in better food production. He also rated naturalness and employees with passion as key to business success. The first afternoon session was led by Dr Chia-Jung Tsay and was entitled "Tackling bias for better business decisions". Dr Tsay spoke really well and her audience participation in asking us to "judge" a music competition kept us entertained as well as explaining how sometimes we allow ourselves to be influenced by factors without even realising! She recommended viewing "The Golden Circle" - a TED talk by Simon Sinek, how great leaders inspire action. The afternoon breakout session I attended was entitled "Developing healthier and more inclusive workplaces to boost productivity". The first speaker was Jenny Lawrence from Lindt & Sprungli. She spoke about how they had made a flexible space and brought in basic gym equipment and an exercise leader to provide opportunities for employees to keep fit and healthy. She talked about authenticity, making people feel special. They give employees their birthday day off; employees have volunteering days and random acts of kindness take place - indeed Jenny had provided a random act of kindness by welcoming us to the session with a Lindt Lindor chocolate bar! She spoke about "choose your attitude" and how "what gets measured gets done". Lindt sounded like a place where employees ideas were welcomed and it has been recognised as a top 50 Great Place to Work as well as Britain's Healthiest Company. Matt Elliott from Virgin Money spoke next - no free samples from him! He described how the company went about launching it's money side of the business which was a completely new area to them in a way that added to the brand. He too described volunteering days as a way for employees go out into the community and help others and still be paid for up to two days a year. He also informed us that they have set up a non profit making area called Virgin Money Giving which operates in a similar way to Just Giving, but takes much less of the donation to fund the admin so more of your money goes to charity. The final afternoon session was from Shane O'Mara who talked about the business brain - developing organisational resilience through neuroscience. He defined resilience as adapting well to trauma, stress etc.. He told us education is neuro-productive; loneliness is bad for your brain; your emotions are part of how you think; walk 1.5miles three times a week to live longer; the brain changes because of experience; the brain needs downtime and sleep. This was a fact-filled presentation that was engaging and entertaining. He described how the brain changes with stress but that in many cases it can recover. He has written a book "Why torture doesn't work; The neuroscience of interrogation" and has another book "A brain for business a brain for life" is due out on 18 May 2017. There then followed a drinks reception which was a great opportunity to network and meet new people as well as catch-up with old friends. To sum the day up - a hugely stimulating and informative day that was really well organised. Lots of interesting insight around the main subject and more personal research to be done through reading some of the great recommendations. Wellbeing at work is firmly on the agenda, and with the workplace having to react to uncertain times and an ageing workforce, this is a topic that will be uppermost in our minds for many years to come. 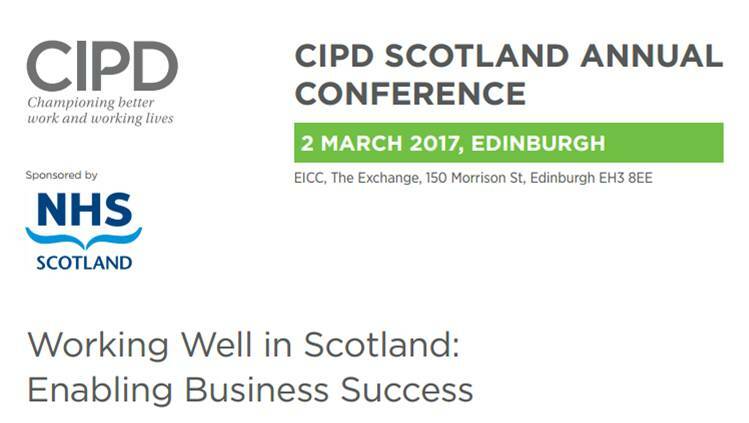 Thanks to CIPD Mid-Scotland branch for giving me this fantastic opportunity to attend and also to Rowan Consultancy and Activate HR for keeping me company. I'm also looking forward to keeping in touch with the other HR professionals I met on the day. Zero hours contracts - love them or loath them? Zero hours contracts have attracted much media and HR attention over the last couple of years, the majority of which has been to show employers in a bad light. The most recent le﻿gislation bans the use of exclusivity clauses (i.e where an employer can state that the employee is not allowed to work for anyone else) and this comes into force via the Small Business, Enterprise and Employment Bill. So what are zero hours contracts, and why use them? In the past, organisations have had to specify the number of hours an employee is guaranteed to be given each week for work, and failure to comply is a breach of contract on the part of the organisation. Many organisations still guarantee set hours - but for some where business fluctuates, a zero hours contract can work brilliantly for employer and employee. The bad press around zero hours contracts has been created by companies that have abused the use of them - knowing they will need staff to be present for example in a business that opens between 9am and 5.30pm. Instead of guaranteeing hours there has been a blanket issue of zero hours contracts which in some cases has lead to the employment rights of individuals being wrongly diminished. Many of these issues have since been resolved, but it is not always clear cut. The most recent controversy - that someone employed on a zero hours contract can not work for another employer has been addressed via legislation. Is this an expensive way to do the right thing? Are certain organisations finding legal loopholes? Employees can still be asked to turn up for a shift only to be sent away with no work. For me, this is mis-management, and an abuse of the employee/employer relationship. I have seen how zero hours contracts can and do work for the benefit of both parties. And what it relies on is honesty and communication between the employer and the employee. So don't be put off using them in your business if your trade/service fluctuates. And do treat employees on zero hours contracts with the same rights to holiday pay etc. as those on guaranteed hours. Most importantly - keep the communication channels open. Know when your pool of zero hours workers will be unavailable (exam times!) and encourage your guaranteed hours staff to take holidays when your pool of zero hours staff are fully available. Diversity - Isn't that the same as equality? Equality in the workplace takes on the same meaning as it does in your everyday life. It is defined as treating everyone the same, and treating them fairly. Diversity on the other hand is about treating everyone as an individual and treating them fairly. Most employers will be well aware of the legal requirement under the equality act (https://www.gov.uk/equality-act-2010-guidance). However, for many diversity is still a grey area and can even be seen to be a bit frightening! To employ a diverse workforce is to employ people that are all working to the same vision and mission that Directors and Managers have communicated and yet this workforce is made up of individual people who come from all different backgrounds, have all had different life experiences and very different interests. When recruiting staff they need to be a "fit" for the organisation as opposed to a fit for the job. What is meant by this? Basically it is the similarity of an individual's beliefs and values with the culture, norms, and values of an organisation. What about the job itself? Many other aspects of the role can be matched through training. And if a candidate comes along with the right fit and the right ability then it is a win-win situation. The commitment to being open to take on candidates that do not fit into traditional recruitment patterns has to come from the top. There needs to be Director and Senior Management buy-in to make this work. What are the benefits from a diverse workforce? Last night I was fortunate enough to hear Gary Mullholland speak about "The Business Case for Diversity". He has spent several years studying diversity in a wide range of organisations. In 2008, with some colleagues, he produced a paper on The Business Case for Diversity. Full details can be found at http://www.academia.edu/171770/Managing_Diversity_and_the_Business_Case. When Gary asked "Do you work for a diverse organisation" it was surprising to see that although there were many public sector organisations and larger companies represented, none of them raised their hand to indicate a yes. The lone hand came from someone who works in a SME and was backed up with great examples of how diversity really is employed in that organisation. SMEs make up 99.9% of the total number of businesses in the UK. SMEs provide 59.1% of all private sector jobs. What do you think - post below, I'd love to know. Energy - can be neither created nor destroyed. So why do I have none? The law of thermodynamics states that energy is a property of objects which can be transferred to other objects or converted into different forms, but cannot be created nor destroyed. So does this mean that if you invest all or much of your energy in others that your own energy levels will be depleted? Yes! And can someone else zap your energy levels by their behaviour? For example if they are being negative? Do your attempts to counteract this negativity drain your own levels of energy leaving you feeling exhausted? Yes! 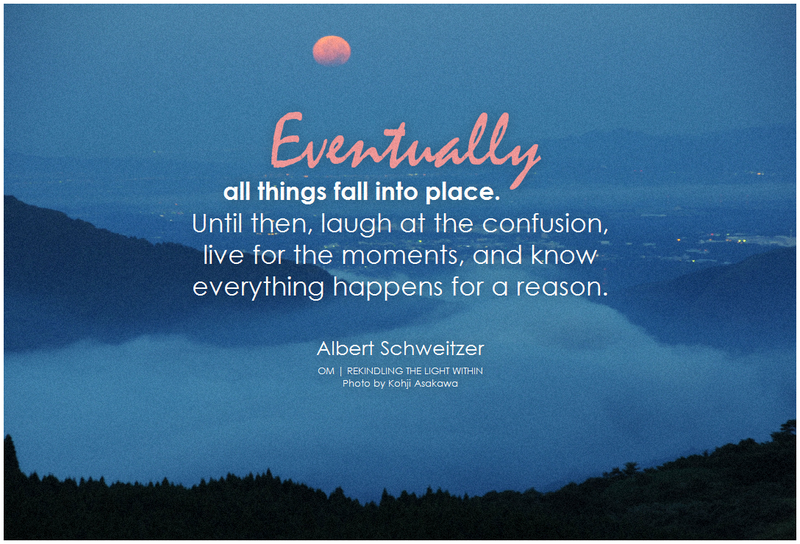 And what about when something happens that you are not prepared for, whether it is in your personal life, family, a relationship or at work. Do your attempts to sort this out leave you feeling like you are running on zero? And does this lead you to under-perform in your business? Well, the good news is that you can do something about it! And here's how! The most important things is to acknowledge that it is happening. There are several ways to deal with this and get you out of this situation as quickly as possible. Coaching is about moving forward, not dwelling on the past, although reflecting on what has happened as a means to move forward can be extremely helpful. Once you acknowledge that this is happening to you what can you do? The easiest way is to make time for you. Well, it means doing something nice, just for you. Not for your family, not for your boss or your business, not for your neighbour - just for you. It doesn't have to be expensive and it doesn't have to take much or any time. You might wear a special dress that makes you feel amazing. You might buy a bar of chocolate that you normally forbid yourself to eat. Whatever it is, do it for you. If you don't believe me then try it and then see how you feel. When life throws an unexpected challenge, acknowledge it and remember to take extra care of you. Cooking and Coaching - what on earth do they have in common? (Apart from a little light relief from the General Election). 1. Cooking is the way I express a large part of my creativity. 2. Cooking is a way to make a difference in other peoples lives. 3. Cooking is about moving forward, not dwelling on the past. 4. With cooking you have to take action. 5. With cooking I am interested to continue to learn and grow. 1. A Coach needs to have a creative mind. No two clients are the same and finding the words/vision/analogy to help your client achieve their goal requires creativity. 2. With cooking you are giving flavour, texture and taste experiences and sensations. I've had friends for dinner who have said I don't usually like that and today it was cooked in a different way and it was amazing. Or when cooking some of my friends still recall memorable meals and the other fantastic aspects of the time spent together. As a Coach you make a difference in peoples lives - they achieve their goals and then achieve beyond their original goals. And, as with cooking a great meal, this is the point where you can reflect and feel that happiness halo. 4. Of course flour, butter, eggs and cheese need to have something done to them to make the delicious parmesan shortbread in the above photo. Simply shoving these ingredients without any action into the oven would result in a gloopy mess at best! Coaching is about asking your client to take action - it is about taking all their best bits, their achievements, who they are, their desire to achieve their goal/dream - putting it all in a "pot" and working with them to find the right way for them to achieve their own "parmesan shortbread". 5. Finally, a good coach needs to be committed to their own personal development. I can't think of a better example then cooking for this! The final of Masterchef - the amateurs has just finished. Looking back to day one and comparing it to where the finalists are now is amazing! They were so committed to becoming chefs of Michelin star quality. Could they see how to get there when they first stepped in that kitchen? No! They trusted the process. And as a Coach I trust that too. I don't know how that's going to happen - I just know it will. Should I do a Blog post in a years time and let you know? Anyone want this ridiculously easy recipe? Blogging Challenge - what is that all about? That's exactly what I asked, and exactly what my friends ask when I tell them I'm doing a 30 day blogging challenge. Quite simply it is writing a blog post every day for 30 days - easy! No! 1. It looked like fun! 2. I love writing and this would give me an outlet to be able to express myself. 3. It was "only" 30 days. For those of you that know me well, you will know that I recently did a 90 day fitness challenge, so 30 days would be easy - err maybe not! 4. It was a challenge - I love a challenge. Always have done and always will do. Sometimes a challenge can take us out of our comfort zone. And that is often when we learn the most. 5. I wanted to improve my blogging. When I say improve, what I mean is that it was non-existent before. 6. I wanted to learn the best tips and techniques - I'm learning loads! There's lots of fantastic free content and if I've even understood a third of it I'd be surprised. And that doesn't matter. Getting out there and blogging is how you learn. Then I will go back to the content of the daily e-mails in the future and more of it will make sense. 7. Surprisingly, I have found that I enjoy other peoples blog posts and I've learned lots of tips and techniques on all manner of things. My favourite post so far was about surviving an e-mail sand dune! This is day 5. If you are interested to see how I get on then check back here again soon! where Sarah will get you signed up and well on your way to being an expert blogger too. Feeling a bit under the weather today. I have a couple of extra days off and my plan for today was to get on in the garden, sort out some things in the house and go to the gym. And that "there will be a reason that I feel a bit under the weather" - I just don't know what that is right now! I remember during my week off in October my horse went lame. He is an older horse so doesn't get ridden now. I see him every day and feed him and look after him. I was almost certain that the lameness on this occasion was caused by a foot abscess. It is the most common form of lameness in horses especially un-shod horses. This meant that I had to attend him twice a day and steep his foot in a hot bucket of water and poultice it. What a pain was my first reaction - now I had to factor in an evening visit to the horse! Then I took some time for reflection and realised that it was a gift. I really enjoy seeing my elderly horse - he has given me so much pleasure over the years and in his day was a Champion in the show ring. Him being lame allowed me to spend extra time with him, which is something that I wouldn't have necessarily considered during that week off. He is an amazing horse and I felt lucky to have that extra time with him. We have a very special partnership and during that week I was reminded of this in the way that he accepted my nursing - calmly, unlike many other horses that make a song and a dance of anything outwith their normal routine. I'm so grateful to have this horse. He's not one in a million - he's unique! Wednesday is yoga day for me. I have been to a couple of teachers, both excellent and with their own style. I really love the feeling of calmness at the end of each session. It is like being in a different world for 90 minutes of the week. So today she says to us "feel your body grounded" and I thought about how I understood exactly what she was talking about having been introduced to grounding by a friend a few months ago. Various definitions of grounded give "mentally and emotionally stable" or in a ships case "to become beached". However, I believe that what was being referred to today was a discovery that was made fairly recently - 1998 by Clint Ober about how a human being can benefit from re-connecting with the Earth and therefore the Earth's energy. How do I do this you may ask? Easy - take your shoes and socks off and walk barefoot on the grass, on the beach or even on concrete. These surfaces are conductors and your body is a conductor of energy so energy can flow through the earth and into the body. Rubber soled shoes are not conductors of energy and therefore cause a barrier for this energy flow. So what I can hear you ask? Those that suffer pain and sleep disorders can benefit from Grounding. The electrons from the Earth's surface can counteract those in the body that cause chronic swelling, irritation and soreness. So long as the electrons can flow to the body benefit can be gained. And this is easily achieved merely by going barefoot. There are simple barefoot substitutes available to buy that allow you to connect a mat or sheet to a ground port within your home. Although not particularly cheap, they offer a way to re-connect to the Earth's energy whilst you are sleeping or resting. Let me know if you have experienced grounding and how it helped you. With warmer days now arriving, it is the time of year to get outside, kick those shoes and socks off and soak up some of those lovely electrons. Happy Grounding and have an amazing day!